Give a classy statement to your home in the most elegant way with this alluring metal votive candle holder. 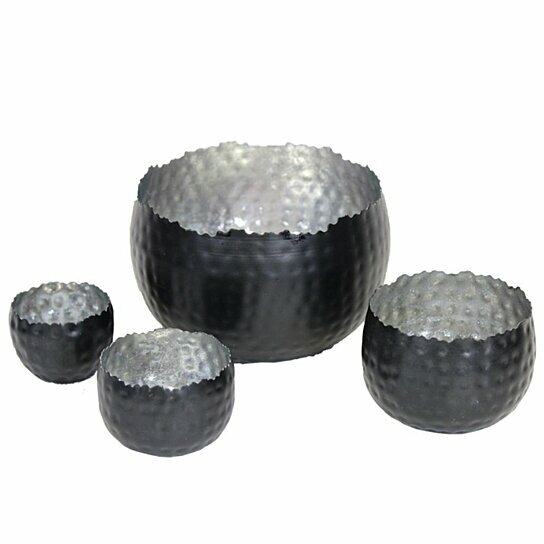 This is a wonderful set of four, it features a hammered pattern, the inside is silver in color and the outside is black, they look amazing together. The uneven rim gives these votive an elegant look. You can place small, tea light or pillar candles in them. It can be kept in the entryway, living room or garden area to add grace to your space.